The Milwaukee Brewers today announced a variety of promotional items for the 2017 season, including five All-Fan Giveaways, two All-Kid Giveaways and eight additional promotions for the first 20,000 fans in attendance. The schedule is highlighted by three Bobbleheads, a Bob Uecker Magic 8-Ball, a replica batting practice pullover and much more. The Brewers will continue to offer “Free-Shirt Fridays” for the first 20,000 fans, marking the fourth straight season of the popular giveaway. Five different T-shirts will be given away throughout the season, including one per month on select Friday home games from April through August. The designs include a long sleeve T-shirt on April 28, a ¾ sleeve T-shirt on May 26, a fan design T-shirt on June 16 (more details to be announced), a replica jersey on July 14 and a performance T-shirt on August 11. The All-Fan Giveaways begin with a Jonathan Villar Bobblehead on April 23 when the Brewers host the St. Louis Cardinals. The Bobblehead features Villar as the stolen base champion after he led the Major Leagues with 62 stolen bases in 2016. Villar became the third player in franchise history to lead the majors in stolen bases, joining Tommy Harper (73 in 1969) and Scott Podsednik (70 in 2004). The Bobblehead comes complete with a counter to tally up the steals for the Brewers infielder. On April 30, all kids will receive an Orlando Arcia face portrait wristband. This is the first of two All-Kid Giveaways scheduled in 2017 with kids ages 14 and under eligible for the giveaways. Eight giveaways are designated for the first 20,000 fans in attendance (including the five Free-Shirt Fridays). The first of these will come on Mother’s Day, May 14, as the first 20,000 fans will receive a Brewers wristlet. All fans in attendance for the May 28 game will receive a Robin Yount Motorcycle Bobblehead. Yount, an avid motorcyclist, is depicted on the Bobblehead with the memorable image of him riding around the County Stadium warning track following the 1982 World Series celebration. On June 4, the first 20,000 fans will receive a replica batting practice pullover as the Brewers host the Los Angeles Dodgers. Two weeks later on Father’s Day, the first 20,000 fans at the June 18 game against the San Diego Padres will receive a Brewers golf umbrella. The third All-Fan Giveaway will be distributed on July 2 when the Brewers host the Miami Marlins on Zach Davies Bobblehead Day. In his first full Major League season in 2016, Davies led the team with 11 wins, which ranked tied for second among Major League rookies. On July 16, all fans will receive a 1982 American League Championship replica ring in commemoration of the 35th Anniversary of the Brewers’ pennant-winning season. Fans won’t want to miss the game on Sunday, August 13 against the Cincinnati Reds as all fans in attendance will receive a Bob Uecker Magic 8-Ball. This giveaway is a nod to Uecker’s #8 jersey, which he wore with the Milwaukee Braves from 1962-63, and will feature a variety of famous “Ueckerisms” from “Mr. Baseball.” The item is modeled after the classic toy, but with a Brewers and Uecker twist. The second All-Kid Giveaway is set for September 3 against the Washington Nationals. All kids will receive a Velcro Toss and Catch Game with the paddle in the shape of the Brewers “ball-in-glove” logo. The complete promotional schedule for the 2017 season will be announced at a later date. For more information about the 2017 giveaway schedule and information on various ticket plans, fans are encouraged to visit Brewers.com/giveaways. ​The Milwaukee Brewers have announced a two-year player development contract with the Carolina Mudcats of the Class-A Carolina League. The new contract will run through the 2018 season. The announcement was made jointly by Brewers General Manager David Stearns and Mudcats President and Majority Owner Steve Bryant. 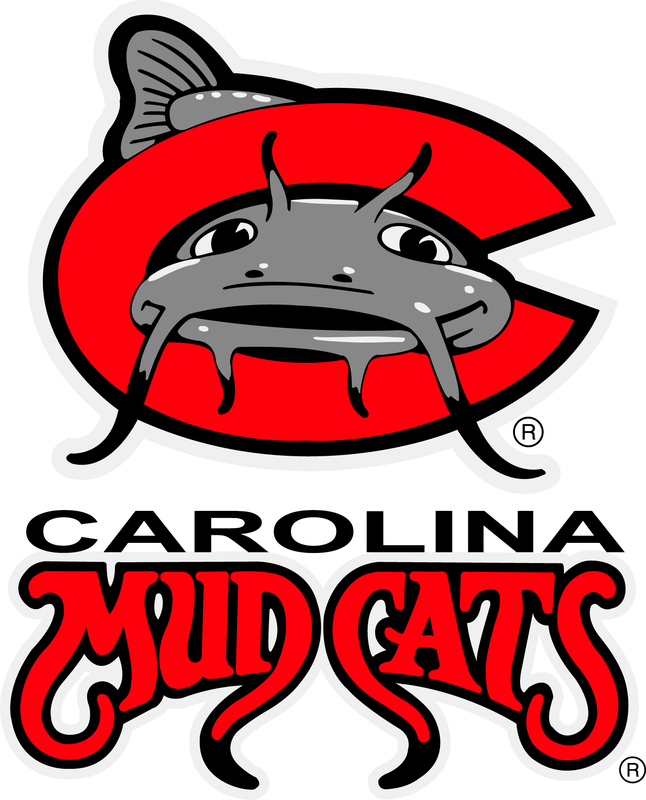 The Mudcats are a member of the Carolina League’s Southern division. The team plays their home games at Five County Stadium in Zebulon, North Carolina. This is the first time that the Brewers will have an affiliate in the Carolina League. MILWAUKEE – The Milwaukee Brewers have announced the recipients of the 2016 Robin Yount Performance Awards, presented annually to the organization’s top Minor League performers. Right-handed pitcher Brandon Woodruff was named Brewers Minor League Pitcher of the Year, and infielder Isan Diaz was named Brewers Minor League Player of the Year. Woodruff began the season with Class-A Brevard County and finished with Double-A Biloxi. Diaz spent the entire year with Class-A Wisconsin. Woodruff went 14-9 with a 2.68 ERA (158ip, 47er) in 28 starts combined between Class-A Brevard County of the Florida State League and Double-A Biloxi of the Southern League. The 23-year-old struck out 173 batters, which not only led the Brewers farm system, but all of Minor League Baseball. Joining the Shuckers on May 16, Woodruff led the Southern League in WHIP (1.04), opposing batting average (.211), highest strikeout rate per nine innings pitched (9.82), fewest base runners per nine innings pitched (9.66) and was among the leaders in ERA (3rd, 3.01) and strikeouts (4th, 124). He led the organization in starts and innings pitched, which were career-highs as well. The Brewers 11th-round selection in the 2014 First-Year Player Draft out of Mississippi State University, Woodruff was a midseason All-Star in the Florida State League and was named Southern League Player of the Week in back-to-back weeks during the 2016 season (July 11-17 and July 18-24). In addition, Woodruff was awarded Brewers Minor League Pitcher of the Month honors after going 3-1 with a 0.29 ERA (30.2ip, 1er), 5 walks and 42 strikeouts in July. Woodruff was signed by scout Scott Nichols. Diaz finished his first season in the Brewers organization batting .264/.358/.469 with 34 doubles, 5 triples, 20 home runs, 75 RBI, 72 walks and 11 steals. The 20-year-old led the organization in games (135), doubles, home runs, and RBI and was second in hits (134) and walks. Diaz hit .232/.309/.370 in 67 games in the first half, before batting .296/.404/.569 in the second half. He led the Midwest League in games, home runs, extra-base hits (59), total bases (238) and was among the leaders in walks (2nd), slugging percentage (4th) and RBI (T4th). The middle-infielder set new career-highs in almost every hitting category. The 20-year-old Diaz was acquired from the Arizona Diamondbacks along with RHP Chase Anderson and INF Aaron Hill in exchange for SS Jean Segura and RHP Tyler Wagner on January 30. He was named a midseason and postseason Midwest League All-Star at shortstop and was honored with the League’s Player of the Week award for July 18-24. In addition, Diaz was selected as the Brewers June Minor League Player of the Month after batting .316/.393/.579 with 14 runs, 10 doubles, 5 homers, 20 RBI, 14 walks and 3 steals in that span. Diaz was signed by scout Mike Serbalik of the Diamondbacks, who has since joined the Brewers organization. The Brewers farm system was recently named the top-ranked system among all 30 Major League clubs by Jim Callis of MLB.com. At a press conference held at Miller Park this morning, the Milwaukee Brewers announced plans for the “Give Back Game,” an event that is a major philanthropic endeavor to raise proceeds for great causes. With the Give Back Game, nearly all proceeds from ticket sales from the Brewers final home game on Sunday, September 25 against the Cincinnati Reds will be donated to charity. Brewers Chief Operating Officer Rick Schlesinger along with members from the Boys & Girls Clubs of Greater Milwaukee, Make-A-Wish Wisconsin, The MACC Fund and the Wisconsin Humane Society were on hand to announce the details. Tickets will be made available by level and distributed on a first-come, first-served basis, beginning with Field Level, then on to Loge Level, Club Level and finally the Terrace Level. Fans can get the best seats in the house for a great price, all while helping local causes. A portion of every presold ticket will also be donated to a general fund that will be split between the four participating charities. Season Seat Holders may contact their representative to specify which charity they would like their donation to go to. After all of the fan donations have been made, the Brewers will contribute an additional $50,000 to the charity that generates the most donations. Regardless of the results, each charity will automatically receive a donation of $20,000 from the Brewers. Every ticket sold after today will result in those additional proceeds being added on top of that $20,000. To help the cause, several Milwaukee Brewers players have teamed up with the four charities to help promote the game. Each player will use their social media platforms tweeting with the hashtag #GiveBackGame to promote not just the entire initiative, but also their specific charity’s involvement. Keon Broxton/Boys & Girls Clubs, Corey Knebel/Make-A-Wish, Tyler Thornburg/MACC Fund and Scooter Gennett/Wisconsin Humane Society. In addition, media partners in the community have stepped up to help promote the effort, with each cause backed by a different media group. “Teammates” include The MACC Fund/620 WTMJ, 94-5 KTI Country and TODAY’S TMJ4; Make-A-Wish Wisconsin/FM106.1, V100.7, 97.3 NOW, 95.7 Big FM, News/Talk 1130 WISN and Big 920 Sports; Boys and Girls Clubs of Greater Milwaukee/FOX Sports Wisconsin; and Wisconsin Humane Society/WKLH, WHQG, WJMR and WNRG.